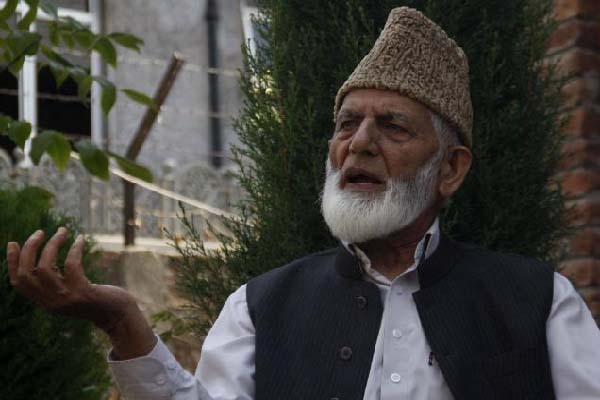 ISLAMABAD, Jul 28 (APP): The top Hurriyet leadership in occupied Kashmir has called for social boycott of pro-India political leaders including those hailing from PDP, which is at the helms of the affairs in the territory. The Chairman of All Parties Hurriyet Conference, Syed Ali Gilani, Mirwaiz Umar Farooq and Muhammad Yasin Malik in a joint statement issued in Srinagar, asked the people to cease all interactions with India’s local collaborators, Kashmir Media Service reported. The people were also asked to hold these leaders accountable and answerable for betrayal. “For India’s local collaborators facilitating the oppression of their own people, their moment of reckoning and introspection is over,” the statement added. “The use of such excessive brute force on the people in the past 19 days, has once again reinforced that India sees the people of Kashmir as their subjects whose self-assertion and resistance to the colonial rule has to be suppressed with an iron hand,” they said. “For India’s local collaborators facilitating the oppression of their own people the moment of reckoning and introspection is over,” it added. However, they said, the pro-India leaders declared the death of their conscience and the bankruptcy of their values.